Looking to revisit the days when big hair and oversized earrings reigned supreme and acid wash denim was cool? Then, Kokorokoko [pron: coco-ro-coco] is the place to be! 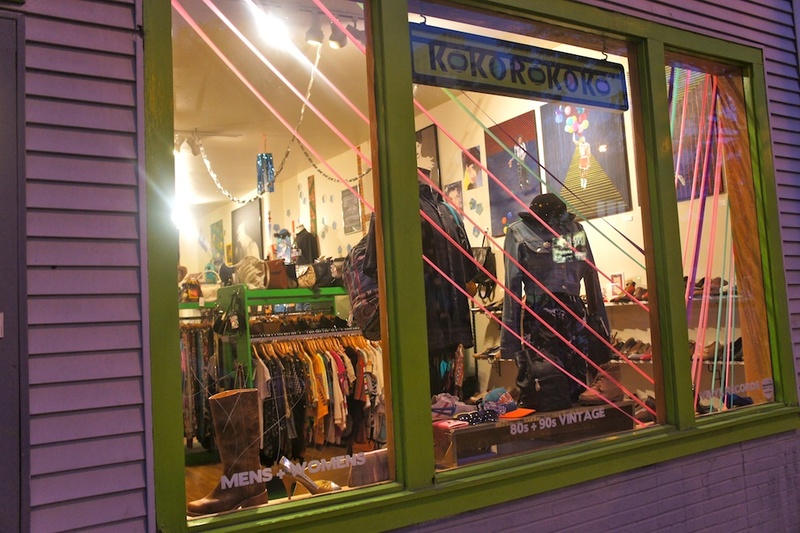 Kokorokoko (1112 N. Ashland Ave), located in the Ukrainian Village, is the #1 source for 80s and 90s fashion. Owners Sasha Hodges and Ross Kelly consider themselves “private collectors” and have curated an impressive selection of clothing, shoes, jewelry and accessories for both men and women. They retrieve items from all across the country and only stock the best items from the 80s and 90s. Because as we all jokingly agreed, not everything was fashionable in those times. Members Only jackets, Coogi sweaters and spandex are particularly popular amongst Kokorokoko’s customer base, which ranges from frequent visitors and those seeking to find the best outfit for an upcoming 80s theme party. Not quite sure how to incorporate vintage into your existing wardrobe? Or need help deciding what to wear for Halloween? Sasha will come to the rescue with her expert styling tips. Fashion is not the only thing well-stocked in Kokorokoko. 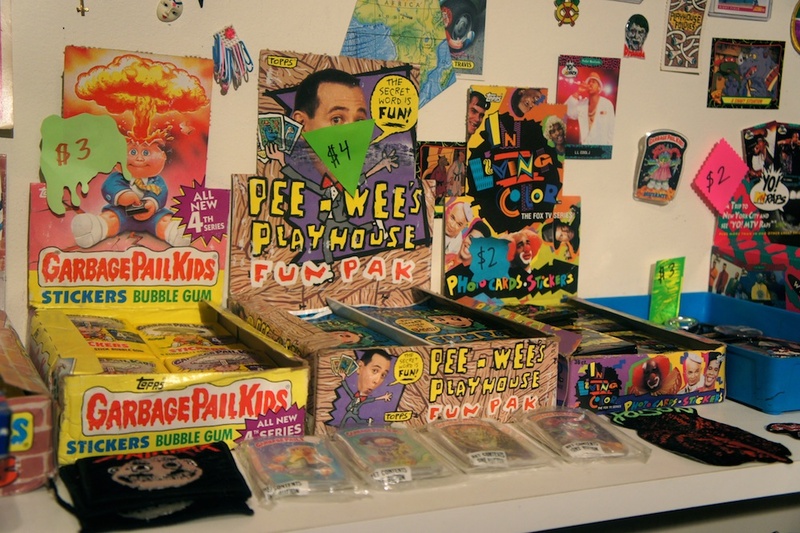 You can also find nostalgic items like Garbage Pail Kids and Yo! MTV Raps trading cards, vinyl LPs and 80s-inspired artwork. 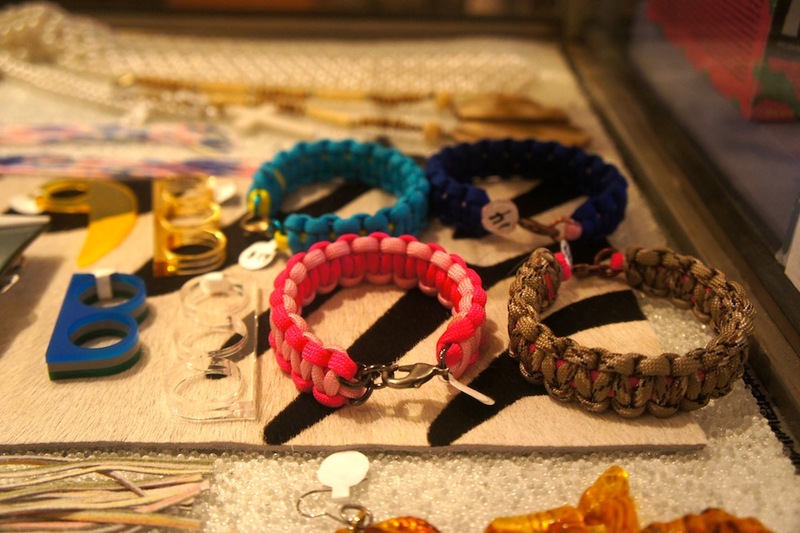 Kokorokoko is not only known for selling vintage. Their monthly store events* have become increasingly popular amongst locals seeking to support emerging and indie artists. The events vary from month to month and alternately consist of fashion shows, art openings, trunk shows and window display presentations by merchandising students. Many times, these events lead to a more permanent relationship. Local brands DANIKA, Shikama, and Montgomery Perry Smith have a bit of real estate in the store’s jewelry case. And you can always spot artwork available for purchase from some of the best up-and-coming artists in the city. Open 7 days a week, there is never a bad time to visit Kokorokoko for, at the very least, a trip down memory lane. Surrounded by vintage fashion, retro decor and upbeat vibes pumping through the speakers, you will feel as though you’ve travelled through time and landed in the era of fanny packs and shoulder pads. And yes, that’s a good thing. *To stay informed about the monthly events, subscribe to Kokorokoko’s blog or follow them on Facebook. This entry was posted in Shopping and tagged Accessories, Clothing, Jewelry, Shoes, Ukrainian Village, Vintage. Bookmark the permalink.